Beautifully upgraded ground floor unit with stainless steal appliances, granite counter tops, fresh paint and new vinyl plank floors throughout. Efficiently designed to maximize space, this one bedroom unit features a pantry in the kitchen, additional storage space in the screened in patio, and a large walk in closet in bedroom with W/D hookups. The open kitchen overlooks the large living room featuring oversized windows for plenty of light and views of the community pond and mature landscaping. Nested in a preserve, the community offers a resort style pool with hot tub, fitness center, outdoor grills, picnic tables, sun decks, car wash with vacuum, laundry facilities, dog park, and covered bike rack areas. 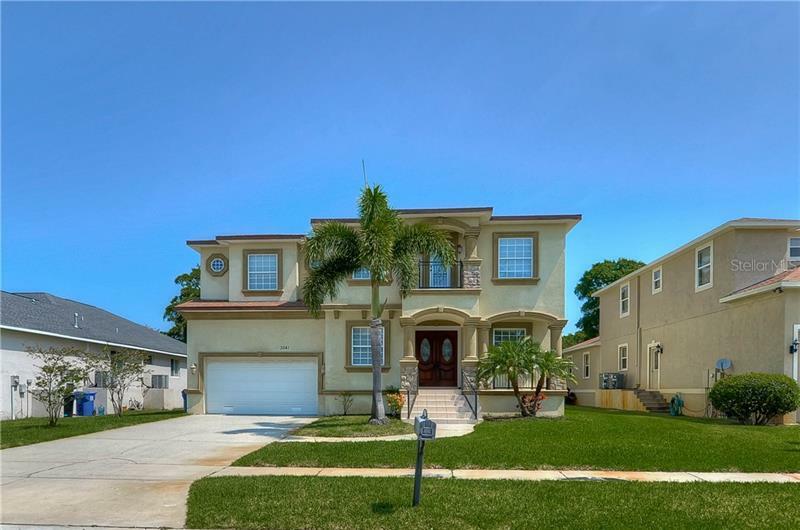 Conveniently located on 4th St N, just South of the Howard Franklin Bridge, and 1 mile North of Gandy Blvd. Easy access to I275, minutes to the beaches, Tampa International, Downtown St Pete and shopping. Water and sewer are included in the HOA fee.